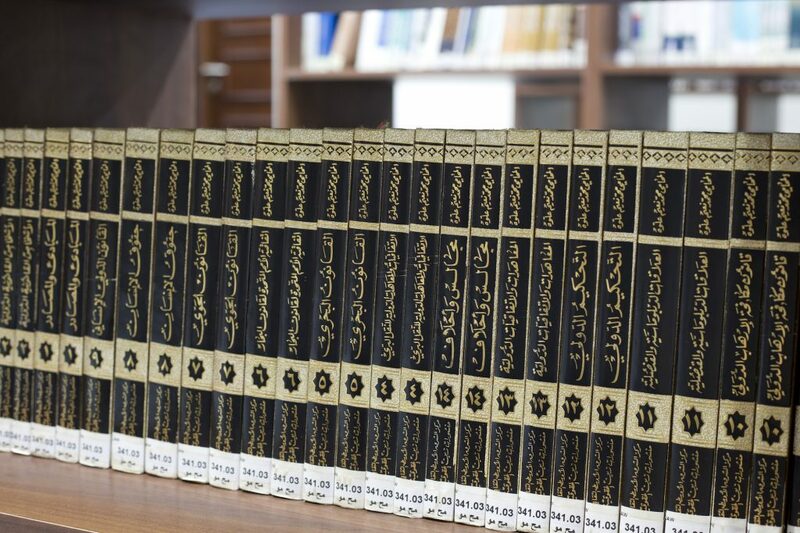 The library has been supplied with about 2000 Arabic books, equivalent to 1000 titles in different branches of law according to the needs of the Academic departments. 1000 books have been cataloged and indexed with 500 Arabic titles. 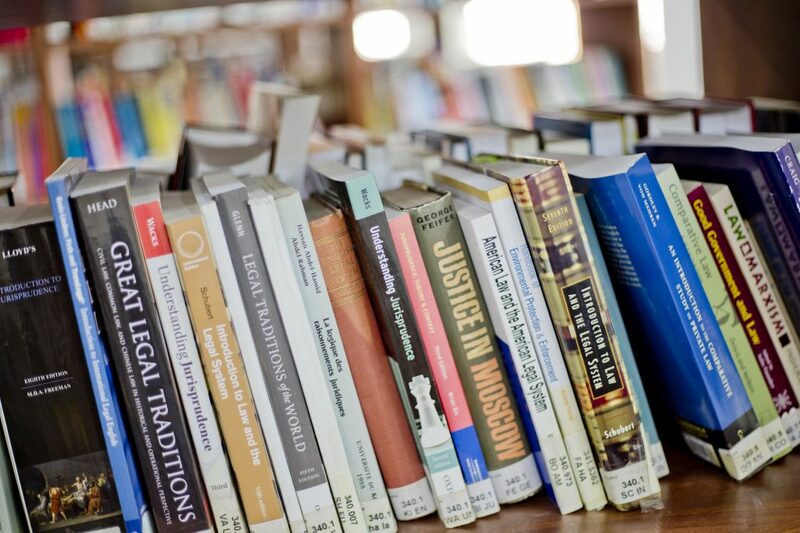 The library has been supplied with about 150 foreign books in different sections of the law according to the needs of each department and has been categorized and indexed by all. The library has been provided with a new staff member for photocopying and reviewing books on the library shelves. Weekly workshops were held in the library to familiarize students and faculty members with the use of library resources and databases. The Library Manager introduced the database (the global Islamic rule) through the company wishing to have it and tried it in the library and presented it to some of the professors of School, and the contents of this rule of the Arab periodicals in the field of law and the various humanities. (under consideration) . 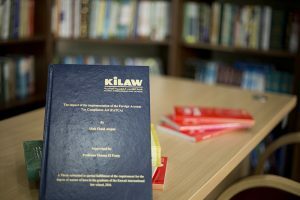 – The Library Director works in cooperation with specialized libraries in the field of law through friendly relations with officials in the Kuwaiti National Council Library, the Library of the Faculty of at Kuwait University, the Justice Palace Library in the Kuwaiti Ministry of Justice and the Audit Bureau Library. The library has assisted the researchers at School through the borrowing system. Collective study rooms were used by students at a rate of at least 90% during that period. Computers in the library have been used by students for about 100% of the time, and therefore the library seeks to increase the number of devices in accordance with the requirements and provide more support for the Library’s visitors. Updating the database of (Salah Abdul Wahab Al-Jassem system), this system includes Kuwaiti legislation in Arabic and English, in addition to the judicial provisions in the State of Kuwait and Egypt, the UAE and Lebanon. The library was equipped with an additional photocopying machine to meet the pressure of students in photographing scientific references that help them in preparing their Academic research. A system of fines for the delay of books on the date of maturity has been introduced. Renewing subscription to foreign databases (HEIN ONLINE). The library building is located in a specific wing of the School’s buildings that is separated from the lecture halls and the School’s activities in order to provide the quiet environment and concentration necessary for researching and reading. The size of the library encompasses a total area of 3283 m2, divided into 2 floors enabling the library to accommodate 1000 students and researchers. In addition, each level contains 2 reading halls with 756 bookshelves containing books and research. 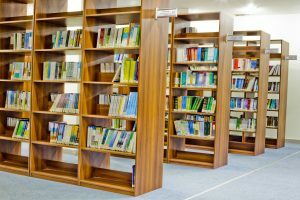 From its launching in the academic year of 2011-2012, the School’s administration has made sure to equip the library with a substantial amount of references and books pertaining to the academic areas and fields offered by the School as well as providing material covering general culture, made available in both English and Arabic. The legislative, legal and research Law encyclopedias are a main source for researchers and students alike to assist them in accomplishing their work. 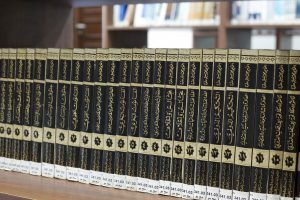 Moreover, they form one of the most important references in law libraries and are made available in Arabic as well as in foreign languages. Therefore, the School’s administration has made sure to provide the largest number of them. An example of the School’s encyclopedias is Max Planck Encyclopedia of Public International Law. 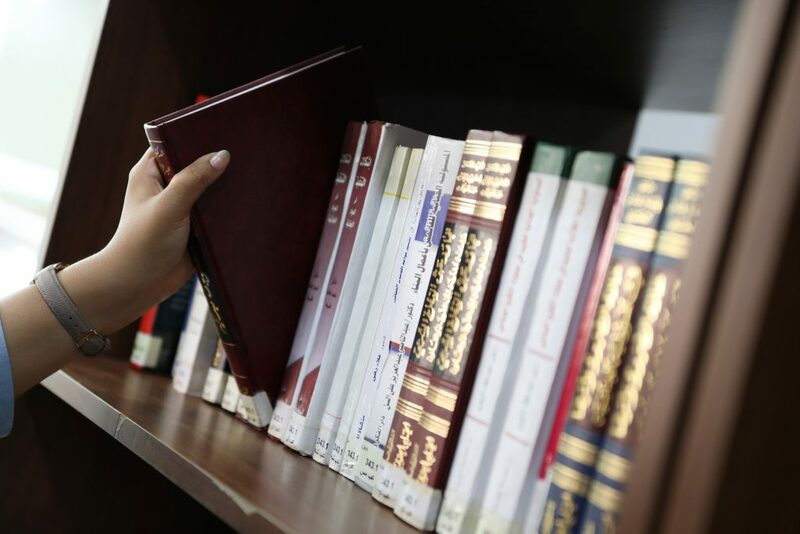 The School’s library offers numerous Kuwaiti, Arabic and Foreign law periodicals which include recent and diverse research covering contemporary issues which are considered an important reference for researchers. The library administration is constantly making sure of obtaining the most recent issues of these periodicals through subscriptions. legislation and judicial decisions etc., and the great development in the field of Information Technology, several databases, in different languages, have stood out due to their richness and diversity. 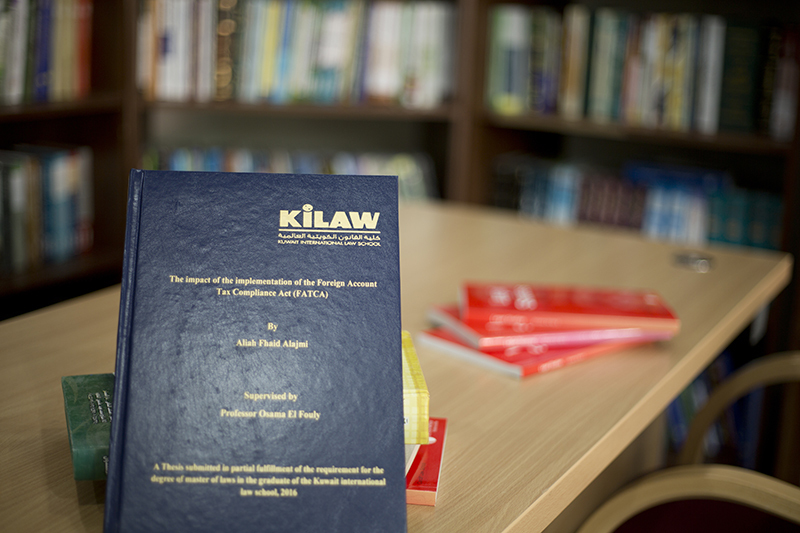 These factors have led international law schools including KILAW to provide them to their students and researchers. Encyclopedia of Kuwait legislation alphabetically sorted according to subject and modified until the end of December 2015. ‘Kuwait Today’ newspaper, modified until the end of December 2015. Encyclopedia of judicial precedents and judicial rulings in Kuwait, UAE, Lebanon and Egypt. It contains several libraries through which books can be viewed electronically. This database contains more than 45000 information sources, some of which are foreign books and periodicals in different legal disciplines. Borrowing of books using an electronic system. Providing 8 library computers in the halls of the library intended for researching in databases and preparing the research required by lecturers of several courses or for master’s research. Providing 8 computer labs, 4 of which are located in the ground floor and the other 4 in the first floor for the purposes of researching in databases. Providing a wireless internet network used along with the library’s computers or laptops. The library provides the students, researchers and faculty members with a researching and reading service within its general halls or private rooms whether on the ground floor or the first floor. This service can be done individually or as a group on the condition of abiding the general rules and regulations. The beneficiary heads to the library employee in order to book the room. The number of beneficiaries must not fall under 3 students. Booking must be done 2 hours before the timing of usage. The details of the beneficiaries are registered through their School ID. The employees of the library are assigned with aiding the student in getting to know the method of searching for books, references and periodicals whether on the bookshelves or as databases and information technology. This service is popular, especially during the beginning of each semester, with the arrival of new students. In the beginning of each academic year, the new students are taken on a tour around the various facilities of the library to familiarize them with it and to demonstrate the services provided to them by the library in terms of researching, reviewing and revising. Providing the members with a list of the most recent books and periodicals that received by the library. Providing the members with a list of the most recent books and references sent from a publisher house to suggest a list for purchase. Providing the members with books and periodicals given under the lending system applicable to them (10 books for a period not exceeding a month). Classifying books received by the library is done according to the Dewey Decimal Classification. The appropriate number for the books topic is selected from the list of Arabic topic headers by Ibrahim Alkhazandar. 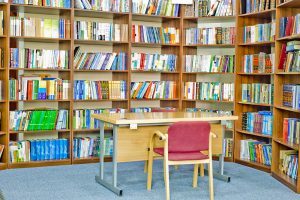 The assigned library employee will register the data of the book such as the publisher, title, publishing details in the records as well as the date of registering the book. Books and references are to be used in a proper manner and damaging or misuse of the books and references is prohibited. 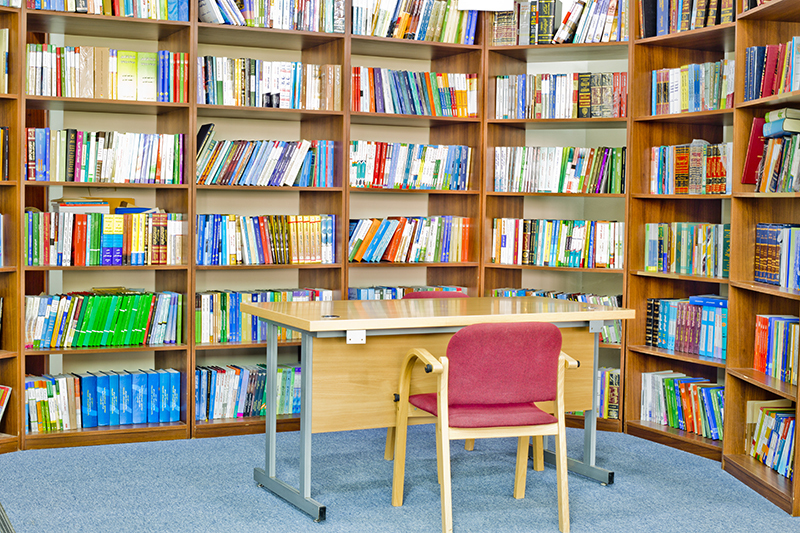 Library materials, equipments or property are required to be handled in a good manner. Library staff must be treated with dignity and respect. A quiet environment must be maintained within the halls of the library and loud talking is prohibited. Eating within the halls of the library is strictly forbidden. 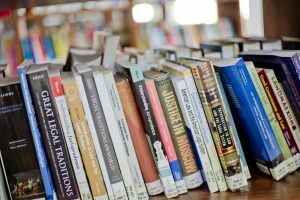 Students are required to leave periodicals or books that have been used on the desk for a library employee to retrieve and place in its correct location. 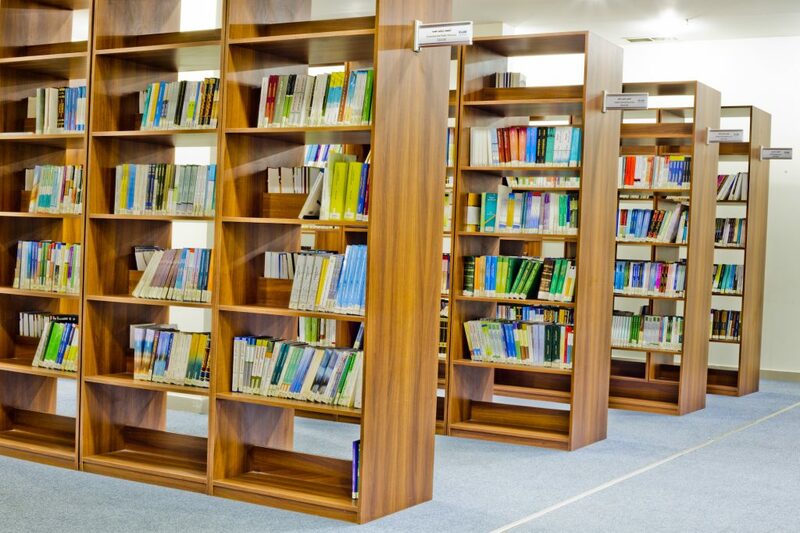 The library opens its doors from 8 am to 6 pm daily, for the duration of 5 days of the week, from Sunday to Thursday. During examination period, the library opens its doors from 8 am to 4 pm on Saturdays.